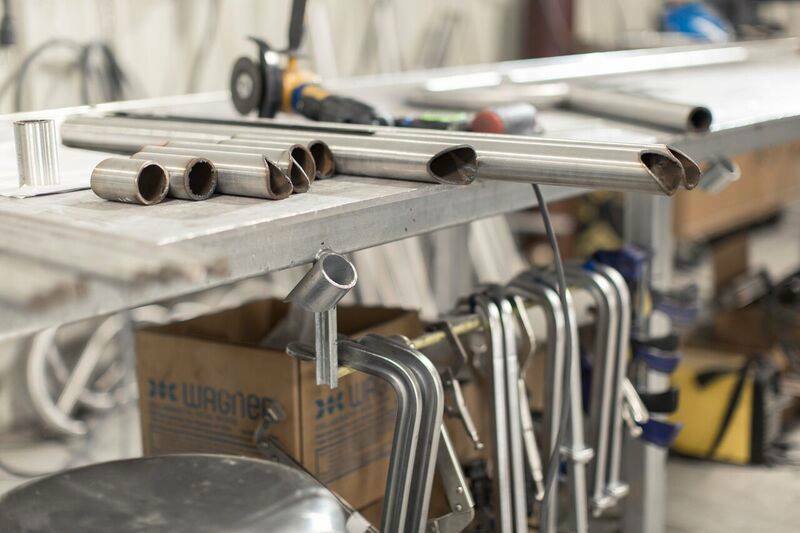 As a full-service metal fabrication shop, we excel in custom roll forming and bending. 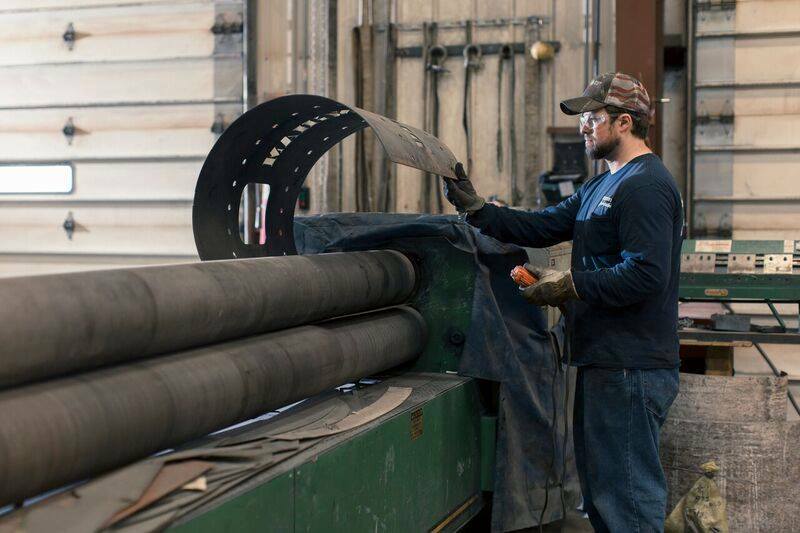 In addition to standard metal bending, we are fully capable of 360° bends for items such as custom fire pits, tanks, cylinders and so much more. 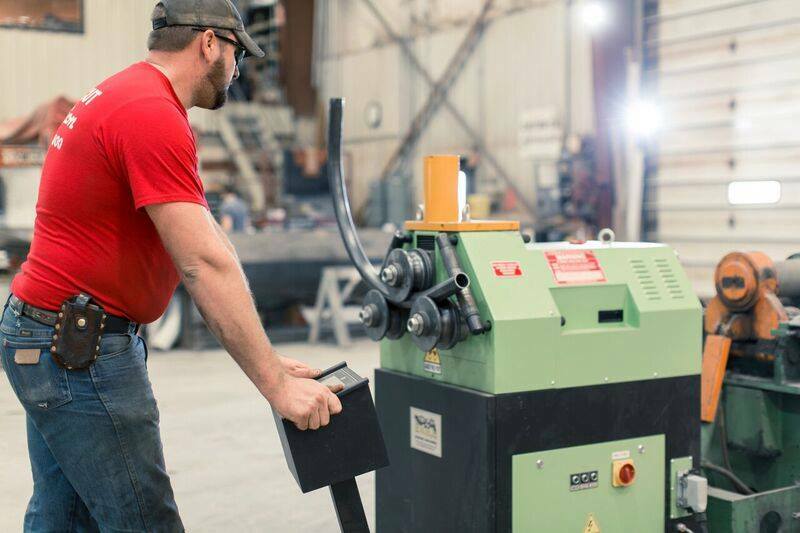 Our machines can handle mild steel plates that are up to a quarter inch thick by 10 feet wide/long and we can use our laser or plasma cutters to cut the sheets down to size prior to rolling. Sheet and plate metal can be cut into a variety of shapes and sizes prior to rolling in order to create unlimited custom projects. View a few examples here. Our specialty tube and pipe roller can be used to create a large variety of pieces and products to be used on their own or as part of a larger project. Our roller can bend Schedule 40 pipes and smaller as well as 2″ x 2″ tube with a 1/4″ thick wall. As with most of our services, you can contact us for more detailed capabilities and to discuss your custom specifications. In addition to pipe and tube rolling, we can also roll 2” x 1/4” angle up to 24 inches in diameter. Not sure if we can roll your project?